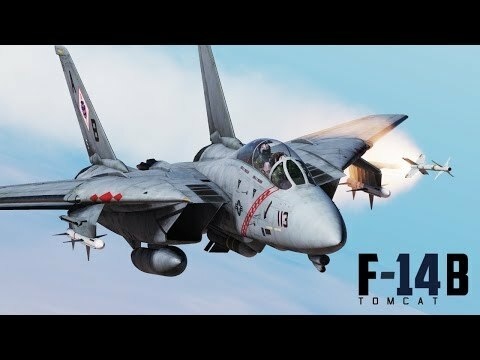 DCS: F-14 by Heatblur Simulations Available for Pre-Purchase! DCS: F-14 by Heatblur Simulations Available for Pre-Purchase! 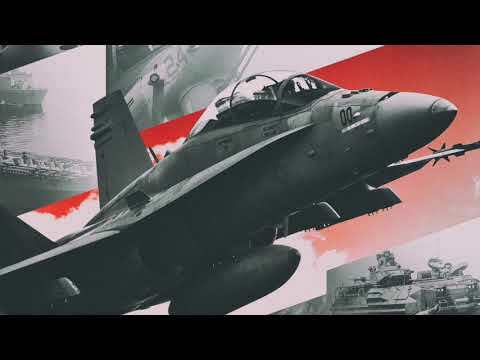 Pre-purchase now and save $10 from: https://www.digitalcombatsimulator.com/en/shop/modules/tomcat/ The Grumman F-14 Tomcat was a two-crew, variable geometry, maritime air superiority fighter that served with the US Navy for 32 years and continues to serve with the IRIAF in Iran. The F-14 was the US Navy's frontline fighter from the 1970s until the mid 2000s. Over the course of its long service life it also became the US Navy’s premier precision ground-attack platform and lone airborne reconnaissance asset. Outstanding features of the aircraft are the swing-wing configuration, crew of two, and the powerful AN/AWG-9 Weapons Control System (WCS) and radar. The AWG-9 allows employment of the powerful AIM-54 Phoenix air to air missile while the LANTIRN pod allows the ability to carry out precision ground strikes using laser guided bombs. The F-14 Tomcat was present during many pivotal historic moments such as the two Gulf of Sidra incidents, Operation Desert storm in Iraq, the conflict in Yugoslavia, Operation Enduring Freedom in Afghanistan and Operation Iraqi Freedom. It was also immortalized in the iconic motion picture, Top Gun, and starred in several other feature films including The Final Countdown, Executive Decision, and others. In addition, the Tomcat was also a vital player in the Iran-Iraq war during the 80s, flying for the Islamic Republic of Iran Air Force which had acquired the F-14A from the US prior the Islamic Revolution of 1979. The Heatblur Simulations F-14A/B Tomcat aims to simulate this iconic aircraft as a high-fidelity module for DCS, being the culmination of several years of research, coding and modelling. Special points of consideration amongst the many features are the external and internal graphic model created using laser scanning and photogrammetry from real Tomcats at various museums, the detailed External Flight Model (EFM) developed over the past several years and verified by real F-14 pilots, the detailed modelling of the AN/AWG-9 and the ability to fly as a two-crew aircraft in multiplayer. Key features of the Heatblur Simulations DCS F-14A/B Tomcat include: • The simulation of both the A* and B model Tomcat, the A model following the B later during the Early Access period. • Highly detailed external model, built using laser scanning and photogrammetry taken of real, museum F-14 Tomcats. • New models for some of the F-14 Tomcat payloads, such as the AIM-54 Phoenix and the LANTIRN pod. • Highly detailed and accurate 6-DOF (Degrees of Freedom) cockpit also built using photogrammetry from the F-14 Tomcats preserved at museums. • Highly accurate, F-14 pilot verified, External Flight Model (EFM) based on real performance data. 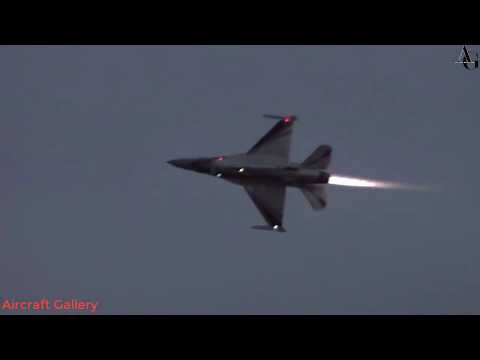 • Accurate aircraft systems simulation featuring: o The Automatic Flight Control System (AFCS). o The variable wing geometry, wing-sweep, system. o Detailed electrical, hydraulic and fuel system. • Fully functional multiplayer two seat functionality allowing a pilot to carry another player functioning as the Radar Intercept Officer, RIO. • JESTER AI: A new, lifelike AI that fills the role of RIO when flying single-player or multiplayer without a human RIO. • A limited functionality Iceman AI piloting the aircraft in single-player when switching to the rear cockpit. • Both AIs feature an interactive interface with a comprehensive library of voice acted phrases. • Simulation of the AN/AWG-9 Weapons Control System (WCS) featuring: o A custom model of the AN/AWG-9 radar featuring Pulse Search, Pulse Doppler Search, Range-While-Scan and Track-While-Scan modes as well as both pulse and pulse doppler Single Target Track (STT) modes. o The ability to prepare and launch the AIM-54 Phoenix, both at single targets and at up to six targets simultaneously using the TWS mode. o The Television Camera Set (TCS) allowing visual identification of targets in Beyond Visual Range (BVR) situations. o The Link-4 datalink allowing reception of tracks from an E-2 AWACS or a surface unit. • The complete F-14A and B Tomcat payload, including AIM-7, AIM-9 and AIM-54 air to air missiles, various dumb and guided air to ground munitions as well as the M61 Vulcan 20mm cannon. • A functional simulation of the LANTIRN designator pod, allowing the RIO to guide laser guided munitions dropped by the pilot or other aircraft (buddy-lasing).